Edward Allen and his brother Henry were very close and they decided to join up for the war together. Before they left they found the tallest trees they could and lopped off the tops to leave as a memorial or a monument to themselves. On 27 October 1916 Edward Allen embarked from Brisbane on board the HMAT A74 Marathon. 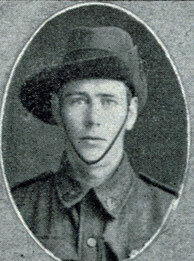 On 17 September 1917 Private Allen was killed when he was hit by shrapnel from an enemy shell at Polygon Woods Belgium. 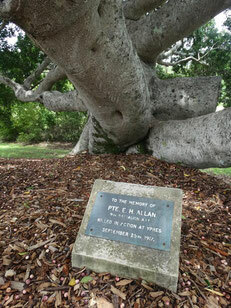 With no known grave he is remembered for his service at the Menin Gate Memorial Ypres Belgium and with a memorial tree in Eumundi Queensland.